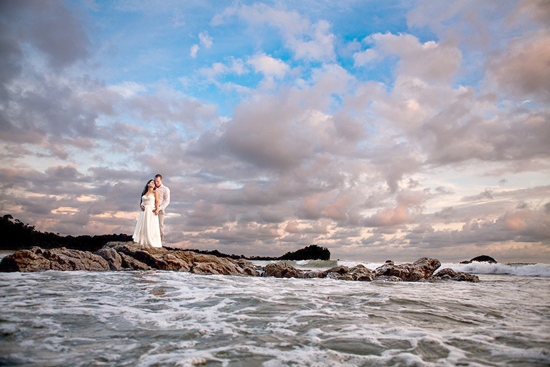 Many couples choose to plan a destination wedding in a tropical paradise so that they and their guests can enjoy a variety of activities, all while surrounded by natural beauty both before and after the wedding ceremony and reception. 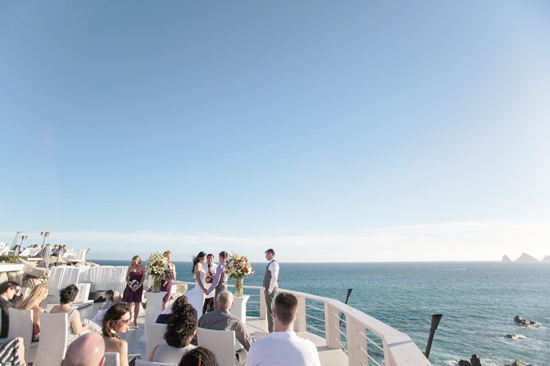 If you’re planning this type of wedding and you want to make it truly unforgettable, look no further than Costa Rica. Check out the tips and advice below to get started. Costa Rica makes it easy to get married when it comes to legal requirements because the country doesn’t require birth certificates, civil status certificates, minimum stay, or blood tests. At least a month prior to the wedding, submit basic information, such as copies of your passports, your mailing address, and your employment status. You’ll need to also provide your place and date of birth, your parents’ names, and your civil status. If you’re going to be married outside of the Catholic Church, you’ll need a lawyer who will file all of the documents with the Civil Registry and Embassy. These documents will be mailed to you roughly three months after the day you’re married. And, finally, you’ll need to have two witnesses who aren’t family members at your ceremony. When it comes to setting the data for a wedding in Costa Rica, you have to take into account the fact that there is a rainy season and a dry season. The dry season is more crowded and more expensive because it’s far less likely to rain, but the rainy season is also known as the “green season” because everything is in bloom. Plus, just because it’s the rainy season doesn’t mean that it will rain for very long even if it does rain on your wedding day, and it’s typically more affordable to book accommodations during that time of year. Once you’ve found a wedding venue that you’re interested in, talk to the staff there to determine what the best time of year to book would be based upon your budget and expectations. Costa Rica is an eco-friendly country that is loaded with volcanoes, beaches, mountains, rainforests, and national parks, so there is natural beauty everywhere you turn. This is great because it gives you plenty of options to choose from when it comes to taking your wedding photos as a couple and with your guests. But having so many options can also make the process of narrowing down your choices harder. Some of the best places to take wedding photos in Costa Rica are its beaches and rainforests, but if you book your wedding at a place like www.villapuntodevista.com, you can take photos right on the property of the resort so you don’t have to travel far at all to get the photos you’ve been dreaming of. Once all of your details are set into place, all you have to do is head over to paradise and wait to get married in front of everyone you care about.